New GiGaBlue X3.H HD H.265 HEVC Recevier. Supports up to Three Tuners! Thread: New GiGaBlue X3.H HD H.265 HEVC Recevier. Supports up to Three Tuners! NEW from GiGaBlue, meet the X3.H HD H.265 HEVC Receiver! Powered by a Broadcom Dual Core 750MHz BCM73625 CPU! 256MB Nand Flash & 512MB DDR3 Ram! 2x Rear USB ports and 1x Rear eSATA port! Built in Satellite Tuner and 1x Spare tuner slot for Plug & Play tuner! Excellent as a combined Freesat & Freeview PVR Receiver. Great for use in Ireland as combined Freesat & Saorview PVR Receiver. Combine a motorised Satellite dish along with a Terrestrial TV aerial. 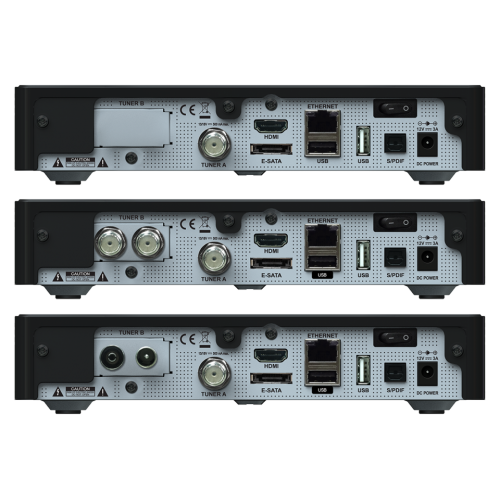 The X3.H can be a Single tuner, Twin tuner, Combo or Triple Tuner Combo! 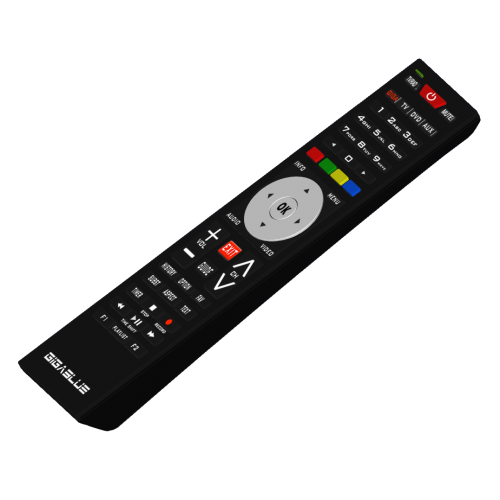 GiGaBlue's NEW style v2 Universal Remote control included! Excellent quality and value for money from only £89! Official Enigma 2 support from OpenViX, OpenATV, TeamBlue + more!